We’ve all heard the term “broscience” before, but what does it actually mean? When it comes to bodybuilding, you’ll hear a lot of theories that aren’t backed up by science yet. In the simplest of terms, the important question is whether or not this anecdotal advice is useful at all. Anecdotal advice often comes through experience and implementation by some of the world’s best bodybuilders, who haven’t necessarily taken part in scientific studies, and are just passing on what has worked for them. Science on the other hand explains things on a much more detailed level, finding an absolute answer to questions regarding the matter with hard evidence. It’s a battle between the old school and new school training methods and ideologies. Training methods have definitely changed throughout the years due to scientific research and knowledge of muscular hypertrophy and human anatomy, not to mention “pharmaceutical” advancements. Science and technology has come a long way since the beginning days of bodybuilding, where there was almost no information readily available, and you had to rely on advice gleaned from the massive guy at the gym. In the beginning there was virtually no science backing training methods and training principles, bodybuilders relied heavily on the power of their minds and intuition. They conducted “self experimentations” on their own bodies, learning through experience and trial and error which training method worked better for them as an individual. Essentially getting in tune with one’s own body and mind. This form of self experimentation led to many various training philosophies and training ideologies. Did it work? Personally, I believe the results speak for themselves. There are many classic bodybuilders who had physiques that looked phenomenal and would even rival the physiques of today’s “scientific” era in terms of proportions and aesthetics. Honestly, I far prefer this classical look. There is no question, athletes will always do whatever they can to find an edge on their competition. Drug use did not happen in the first days of bodybuilding, steroids and other pharmaceuticals had yet to be synthesized. If you were to search for bodybuilders from the pre-steroid era, you’ll be amazed to see what can be accomplished with nothing but philosophy and hard work. As time went on icons such as Arnold Schwarzenegger and Franco Columbu had admitted to steroid supplementation via Testosterone and Dianabol. These classic bodybuilders didn’t use more than one to two compounds during supplementation periods. As time went on bodybuilders became heavy in size and began to use cocktails of numerous synthetic chemicals in doses never before tested. Does this mean more drugs are better? 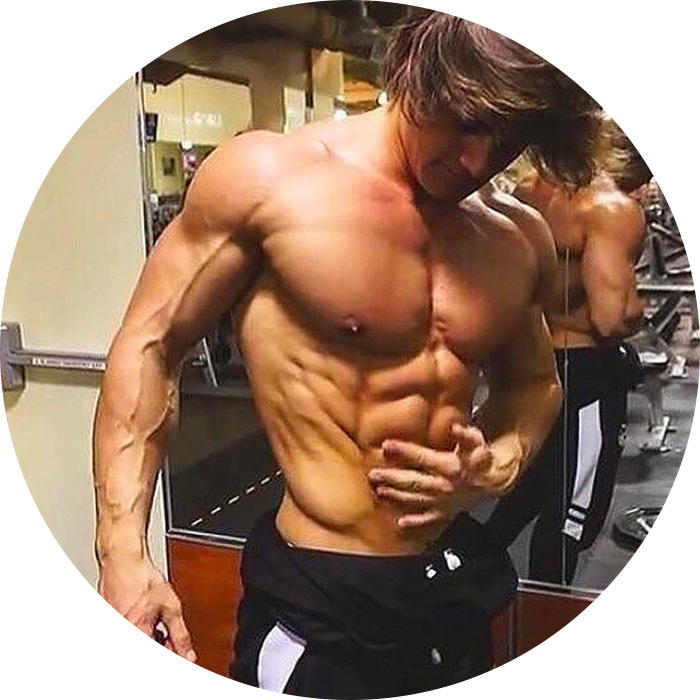 In my opinion, no, and I believe the world’s most aesthetically appealing physiques are either held by lifetime natural bodybuilders or naturally achievable after years of hard work and dedication. History has shown that a man who works hard and learns about what works best for own body can achieve an aesthetic body with no drug use. Although the caveat is patience and never expecting results overnight. If you find yourself tempted to use anabolic substances, ask yourself if your approach to training and diet is optimised. Maybe your methodology could use a more scientifically based approach, and you’re executing exercises with form known to be sub-optimal at recruiting the maximum amount of muscle fibres? Alternatively, maybe you’re following “scientific” advice from gurus who don’t have a proven track record of achieving an appealing physique themselves, and you could stand to benefit from implementing some advice from the world’s best, who don’t necessarily have time to partake in scientific studies. Remember the classic bodybuilding film “Pumping Iron”, where Arnold would talk about the pump? Well there is definitely a science behind the pump, whether he was aware of it or not. By engorging vast amounts of blood into the muscles with heavy weight, he was creating time under tension and mechanical stress, supporting muscular hypertrophy by doing so. The point is there is more than one way to look at things, so open your mind to different possibilities. Arnold knew about the power of “The Pump” years before scientists confirmed it’s benefit to hypertrophy. In the old-school days bodybuilding was seen as an art form. The athletes were artists with an artistic perspective. They were simply creating a piece of art through sweat and hard work, it was much simpler ideology. As a result however, their bodies looked like Greek Gods rather than mutant creatures of today’s bodybuilding world. Yes science has it’s place in bodybuilding but has all this knowledge combined with the human will to win created something grotesque? The answer lays in your personal preference. On the nutritional front, dieting using scientific knowledge is not only smart, but will increase your longevity and improve your health and wellbeing. In the old school days many didn’t know much about dieting, so compensated with more hard work. Many of these bodybuilders used ketogenic diets sapping your strength and energy while cutting to low body fat levels. Don’t get me wrong, the bodybuilders of old looked awesome, but they could have improved upon their health with better dieting practices if they had the scientific knowledge we have today. Remember that your body is your temple and you need to take care of yourself. I believe both methods have their place, whilst I prefer the physiques of the classic era t I also think it’s smart to use the knowledge that science gives us. Create a good balance between the two. In the end it’s all about personal preference, do you want to be an aesthetic God or over-sized mass monster? The choice is yours. I hope you enjoyed this article as much as I enjoyed writing it. There’ll definitely be more to come in the future. Remember to let me know which topics you would like to see me cover next in the Team Seid Facebook Group, it’s free to join and I interact with members there regularly. If you like the apparel on display in the photo at the top, it’s part of the SeidWear Summer ’17 Ultimate Range, releasing this Sunday. Once it’s available, you can grab it by visiting the SeidWear site here. Tips, tricks, and advice I've picked up over the years as an IFBB Pro to take your physique to the next level.